Despite clickbaitish title, I cannot empasize this enough. Having lived with this setup, I found out that I have to perform this steps every time the app is updated. I also have to disable Safari extension. 1Password 7 and local mode. Although I’m paying for 1Password Family Subscription, I was experimenting with ways to run it locally. It wasn’t obvious but I got it into stand-alone mode accidentally after restoring from backup. It’s easy with 1Password 6. Create a local vault and use it. With 1Password 7 subscription model you can download the app for free but in order to use it, you have to sign-in into your 1Password account. After that, you can create a vault outside of your cloud managed account but you’l still have a local copy of all of your 1Password account items. You can hide cloud vaults, but there’s no obvious way to sign-out and stop 1Password 7 from fetching your data from the cloud. How to run 1Password 7 in local mode. You will need a 1Password backup file. I have tested this with 1Password 7 and 6 backups. Download 1Password 7 from Mac App Store or AgileBits website. Sign-in into your 1Password account. Open 1Password 7 > Preferences… > Advanced and enable local vaults. Click File > Restore… > Find Backup. Find it and click Add Backup. Select a backup and click Restore. This will prompt a warning that all your local data is going to be replaced. If you restore, 1Password quits itself and you will have only the vault from your backup. 1Password account is gone for good. You will have only 1 vault and it would look like you have signed out. 1Password makes automatic backups but it’s your duty to copy them to some place which is not your Mac. Time Machine can do it automatically. It’s impossible to experience all the story at this point, since 2004 US release there were 7 expansions, history of the world changed a lot, you had to be there from the beginning. But not all is lost, there’s time walking events, there’s books and graphic novels. So much story can be overwhelming, so I recommend taking advantage of “Class Trials”, you can start playing at level 110. Choose your character — Honourable Horde or Righteous Alliance member, or maybe, neutral Pandaren and jump into this huge world with million of others. It feels like you part of something big. I still remember the day when I picked my World of Warcraft box. The box felt good, thick, with colourful illustrations and beautiful characters. But that wasn’t the reason I decided to buy the original game, I only picked it up because of familiar and friendly Mac log on front. Blizzard still supports Mac and even Metal 2, so it won’t be affected with deprecation of OpenGL. Even though it’s very old game, you will be pleased with level of details in a new areas. I play on my 13-inch MacBook Pro and I get ~30-50 FPS with low graphics but native Retina resolution. Text is so sharp in quest descriptions. How game changed since beginning? There’s a trend to make it more approachable, you don’t need to learn a lot and you don’t need to invest huge portions of time, completing single quest can take you 5 minutes. 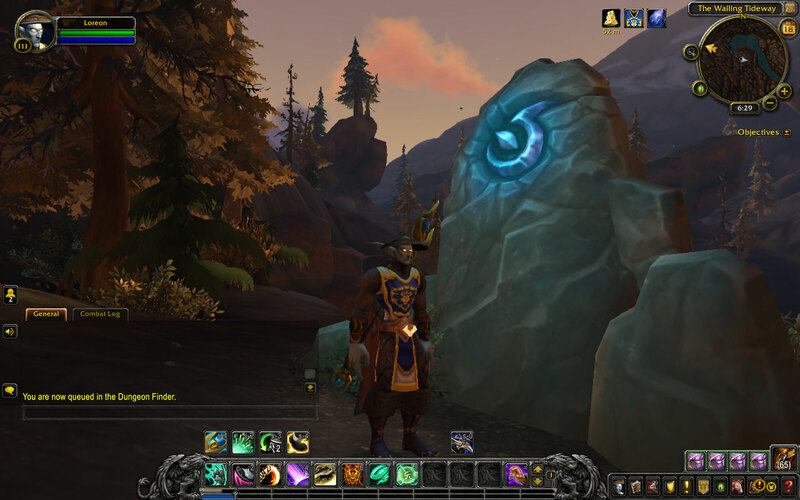 It’s genius how questing is used to advance your character and give you motivation to explore new areas. There’s always something to do, dwellers to help. It’s a very smooth experience, it gives you bits of story and landmarks peace by peace, it’s addicting and rewarding. No commitments at all. It can be a pleasant routine, an escape into different world. There’s 2 phases — levelling and the end game. Anyone will tell you that the end game is the most fun part, but for me questing and small dungeons always were more than enough. I never even got to the end game. When Battle for Azeroth was released, I subscribed again, this time I will try to reach the end game. There’s interesting accident happened in the game called Corrupted Blood plague which simulated chaotic deceases outbreaks from real world. It’s even studied by scientists. I’m trying to reduce our impact on environment. We have 2 reusable coffee cups in our family and I am using them in Starbucks, Nero and Costa. Not only this is good for environment, but it also helps to save money, Starbucks offers £0.25 off, and Nero gives you 2 stamps for one purchase instead of one. I have also banned plastic straws in our family because straws kill sea life. For years I was regular customer in McCafé, collecting their loyalty stickers, their coffee is good and it doesn’t cost much. 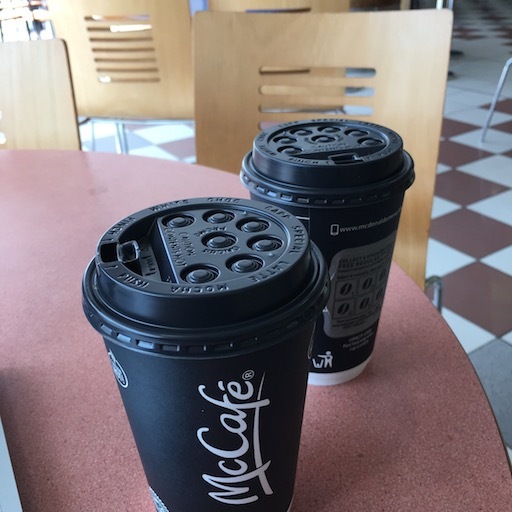 One day we went to McCafé with our Starbucks cups, here’s my conversation with McDonald’s person behind the till. — Hi, can I use my own cup please? — Why not, you not it’s bad for environment, I use them everywhere else. — Sorry it’s our safety policy. 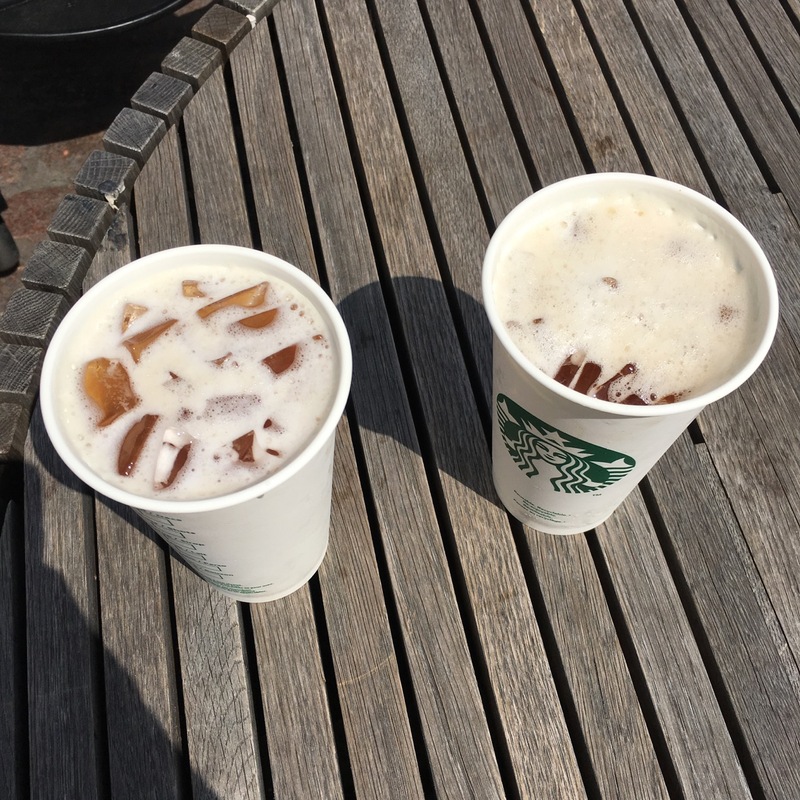 — That’s wrong, okay 2 lattes please, without lid… Without plastic lid please! — Sorry I can’t, that’s a policy. Not only they don’t offer benefits for bringing your own coffee cup, McDonald’s employee do not allowed accept reusable cups at all! Yes, recently, they are trying to phase out plastic straws in UK but that’s not enough. 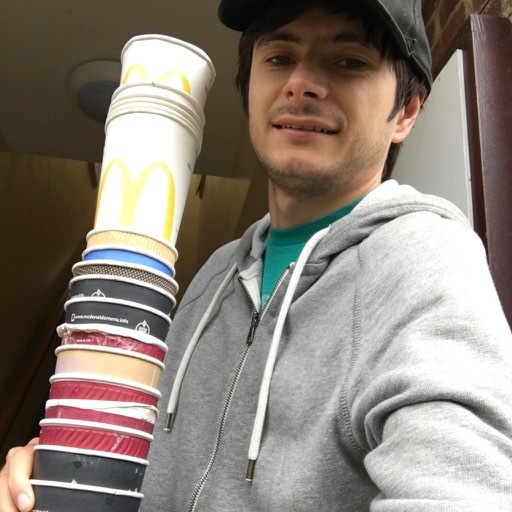 McDonald’s must change its stupid outdated policy about not allowing us to bring our own cups. I’m not buying their coffee any more and I encourage you to do the same. If you do have any cups laying around, don’t throw them in recycling bins please. Common coffee cups is paper combined with plastic. Costa and Starbucks can accept your cups from coffee and soft drinks and send them to a special place. I should’ve write about this earlier but couldn’t find time. I still want to, because this is big step in my life. 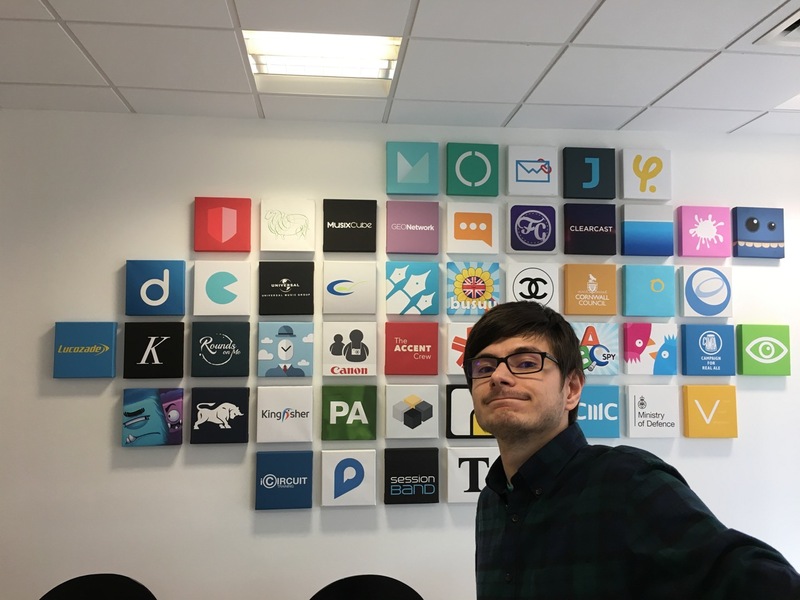 I left Glance Creative, app agency where I worked for almost 3 years. 1 All this time together with great CEO, amazing people and doing my best work. Glance has big portfolio, it was fun to work on different projects and ship one app after another. I left Glance so I can start new role at IG. I was flattered to receive offer from them, it’s hard to find good place to work in my situation 2, even in London. I’m fortunate to be able to continue to earn money from doing something I love. 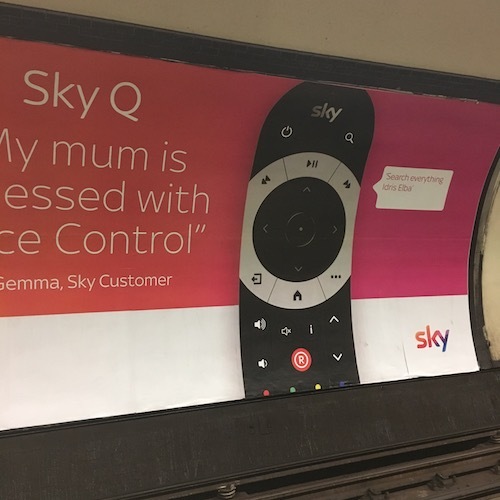 In past 2 days my friend asked me to help with her smartphone.1 That’s the only computer device she uses and she said she “can’t contact my husband any more because of ads”. Device has to be charged from the top, which was very uncomfortable to use and cable was constantly disconnecting. The battery was old, we could use it only when charging. First thing I noticed, is how big screen was, compared to my iPhone 6s. It was easy to read, with larger touch targets. That’s a plus, considering affordable cost of the device. Of course with such a low cost,2 there’s many compromises. She started to show me dozen of apps she didn’t installed, games and gambling apps. While I navigated the phone ads popped up, I saw 4 kind of ads which could appear even on the Home Screen. Ads which look like Facebook bubble. Google Play redirects. When I was using Google Play app, it would show me page with random game. Full screen ads, some of them even faked lock screen UI. I was bombarded with notifications and alerts from “antivirus” and “cleaner” which I was canceling, I was sure it will go away after I reset the phone. How naive. First thing I did is backed up her notes from third-party app. I could log in into Google and sync it. Then I installed Google Photos. Device didn’t have enough space and it offered to delete some apps right from the modal alert, which was nice. However then I run out of space again, and the modal alert offered to delete apps which I didn’t want to get rid of. There was no button to jump into Settings, I had to find storage manager on my own. 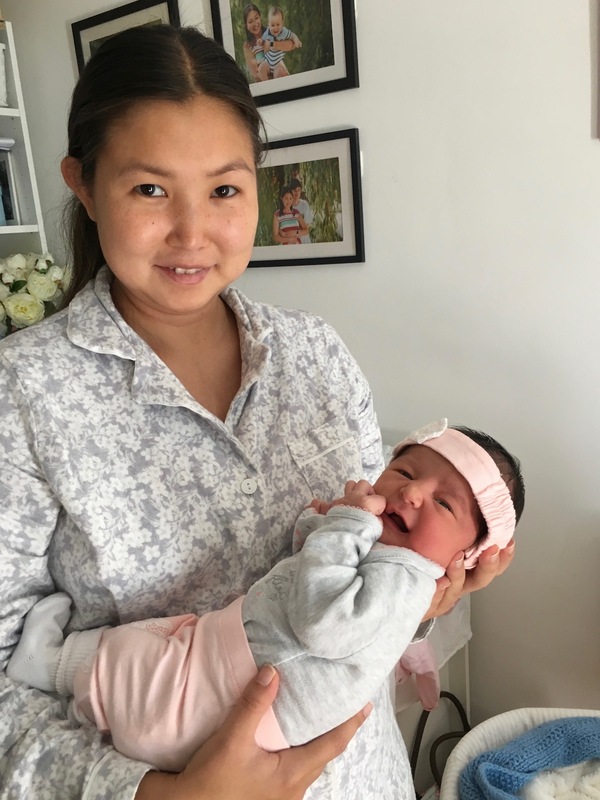 We uploaded all her photos and videos to Google. I even liked the experience, because Google offers free unlimited storage. I installed Google Contacts and Chrome. She had almost 2,000 contacts on her SIM card, Contacts app offered to back it up and it’s even cleaned SIM card automatically. Ignorantly, I didn’t backed up WhatsApp conversations, which is possible to do with Google Drive. I though I could restore them logging in into her account but because her account was linked to her another oversea phone number, we couldn’t receive the text. So I had to create new account for her and we lost all conversations. I reset her phone from the settings, surprised how many bloatware it had as part of the system. It wasn’t possible to remove system “antivirus” and “app cleaner”, Opera Mini and many other not wanted apps. All I could do is to disable notifications and disable constant monitoring. I didn’t trust it. My biggest disappointment was the lack of OS update option. The device was sold with 5.1 and it is the only Android version it supports. I couldn’t even find this model on Lenovo website. Another surprise was lack of Chinese keyboard from the OS. And this is device which specially made for China and sold by Chinese manufacturer. I installed Gboard but it also didn’t have Chinese. In despair, I searched Play Store for “Chinese keyboard” and found another keyboard from Google which did the job, it had only 1 Chinese language option which was poor because iOS has 2: traditional and simplified. I installed Google Photos, Contacts and Chrome again but at some actions I was presented with option which include system app, there was no way to make OS remember my choice even when I ticked specific “do not ask again” option. This duplication felt through entire OS, there’s 2 settings app and many system apps can be find with alternatives from Google — Clock app, messages app. I tried to install messages app but it didn’t work properly, it didn’t show SMS messages. Because Lollipop doesn’t have privacy permissions controls, when denying permission and then changing my mind, I had to reinstall an app. 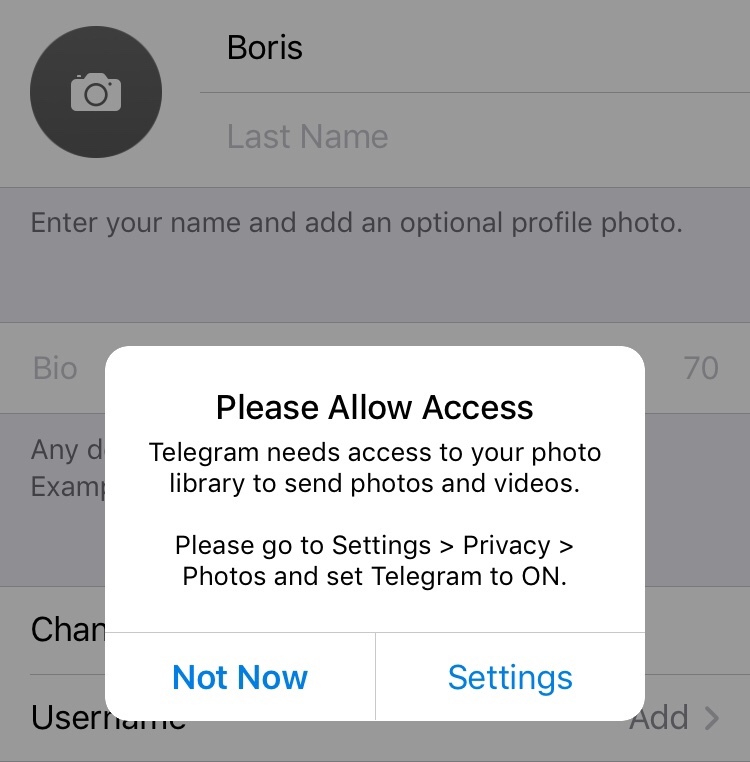 App would say “I can’t access camera, restart your phone” — which is ill-advised.